Add lemon juice and zest. In a medium bowl light toss the crabmeat with the bread pieces. Gently, without damaging the lump crab meat, fold the mayonnaise mixture into the crabmeat. Cover and refrigerate for one hour or until mixture is firm. 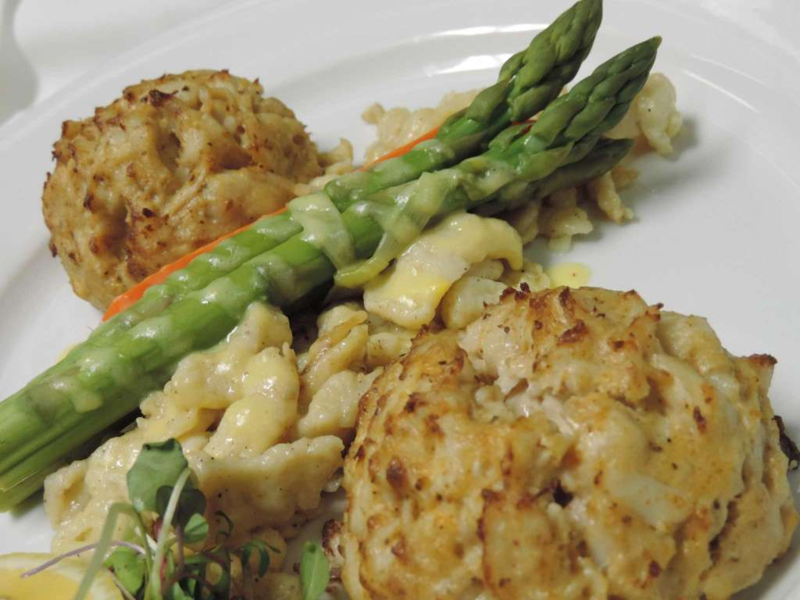 Using a scoop or just your hands gently firm 4 1/2-cup crab cakes, approximately 11/2 inches thick. Heat oil in sauté pan, add crab cakes and cook over medium high heat, approximately 3 minutes per side.